Starting with Lion Apple has decided to hide ~/Library file, the reason makes sense as to prevent accidental deletion of configuration files and settings. But for hackers and tweakers this is a nuisance. 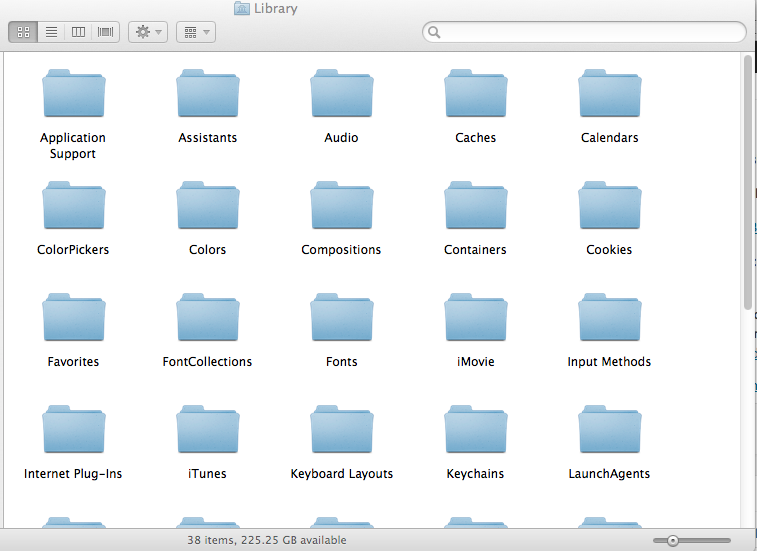 The Library folder contains many of the resources that installed applications need to use, including application preference files, application support files, plug-in folders, and new with Lion, the plists that describe the saved state of applications..
It’s not clear why Apple decided to hide the users Library folder, but there are multiple ways to get it back; two provided by Apple )depending oh the version of OS X you are using) and one by the underlying file system. The method to use depends on whether you want permanent access to the Library folder, or only when you need to go there. With either the desktop or a Finder window as the front most application, hold down the option key and select the Go menu. 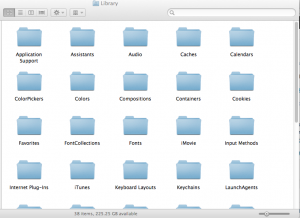 If you close the Library folder’s Finder window, the folder will once again be hidden from view. From the Finder menu, select View, Show View Options.